When you envision the ultimate dashing, debonair man, there are a few staples that come to mind immediately: a flashy sports car, a shiny Rolex on one wrist, perfectly styled hair, and a sharp, clean-cut suit. Just think of any debonair man from the movies… James Bond, the Godfather, Tony Montana... They all knew the power of a classic suit. We have to say, though, those guys sort of got bogged down in the basics. Anyone can pull off a sleek black suit and look stylish, but you know what really shows you’re a man who isn’t afraid to take risks and push the envelope? Pink. Nothing says “masculinity” like soft pink. There is no better color in the world, in fact. Just think of all the amazing, manly things that are pink: roses, cotton candy, Pepto-Bismol, lip gloss… The list is endless. It makes sense, then, to find a suit that fully embraces this rugged and powerful aspect of your virile personality. We have just the thing: this Men’s SuitMeister Basic Pink Suit. 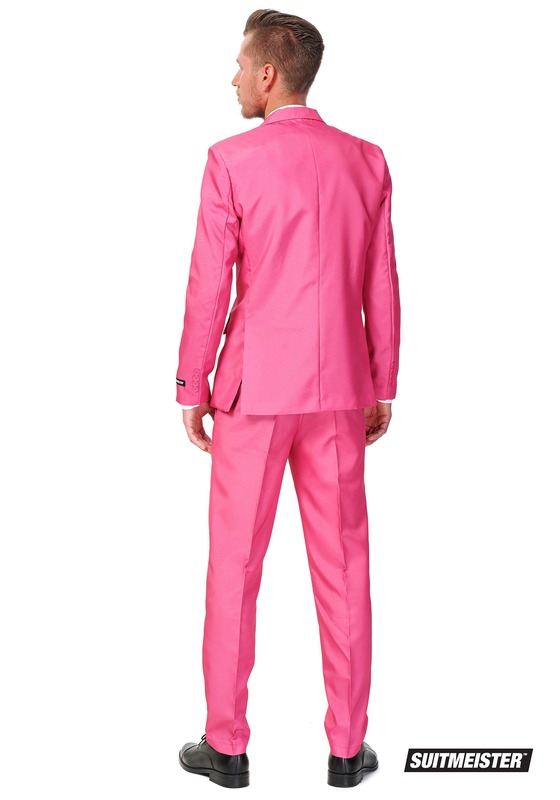 The bright pink suit is 100 percent polyester and includes a two-button closure on the front, along with stylish false pocket flaps. The matching pink pants, which include elastic bands on the sides for a perfect fit, actually include two real pockets on the front and one on the back, so you can still carry your wallet around. There is also a perfectly matched pink necktie, but we’ve got to warn you—it’s a legit tie, not one of those wussy clip-ons. 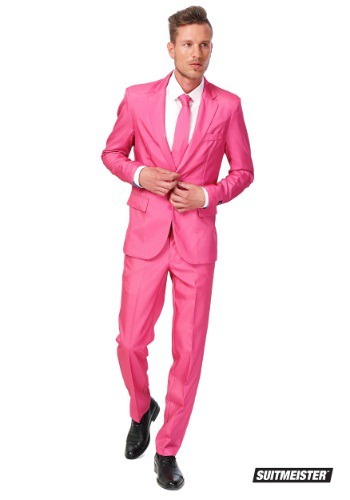 You’ll be sure to add some color to your life as soon as you pull this Men’s SuitMeister Basic Pink Suit out of your closet. After all, real men wear pink.